I’ll help you design a game plan for your life that shows you exactly what to start doing – and stop doing. I’ll then guide you on the path of playing the game with fineness, enthusiasm and dedication until you reach and maintain your winnable outcome. Who doesn't want an amazing life? After all, it's an exciting concept. I mean, we all desire loving relationships, financial freedom, and the opportunity to wake up and go to bed happy each and every day? This is not too much to ask for. Is it? With the popularity of reality shows and the success of the Internet, I think it's fair to say that most people, especially in the past 20 years, have seen that living a wonderful life on your own terms is possible. And many secretly desire to have this wonderful life for themselves. Unfortunately, in my experience, few seem to make it all the way to wonderful. Most people are interrupted, side-tracked or diverted by the realities of life itself and they never make it to wonderful. Stuff just gets in the way: things like responsibilities, obligations, earning a living, demands of family and work, and uncertainty about what matters most. What about the daily hassles that just seem to come with living an ordinary life, like having kids with behavior issues, a broken-down car, a computer that’s too slow, relationship worries, not enough money, time problems and work concerns. It appears to me that most people only make it to the level in life where things are just ok --"life's not bad" or "life's pretty good". Most people never even try to have a wonderful life simply because they've never seen it firsthand. They assume that they are not one of the chosen few who got the lucky break in life and their ok with that. But I’m here to tell you that having a winnable life is not only possible but achievable. You can have an amazing life --- you deserve an amazing life. But you're not sure what the exact steps are that you need to be taking in order to get from your “ok life” to this winnable life. This is where I come in. For the past several years, I've been helping clients to create and live amazing lives. This is my chosen career. It's what I love to do with my life. I’ve helped over 1000 people discover exactly what works and what doesn't work when it comes to defining, designing and playing/ living a winnable life. I offer a complimentary “Defining Moment” session that is FREE to anyone who asks for it. I believe that your life can be designed as a winnable game that you are excited to not only play but to Play Better. 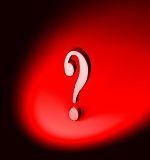 The initial free coaching session takes about 30 minutes and I am told -- repeatedly -- that it's a major turning point in the lives of the people who take me up on my FREE offer. What can I do in 30 minutes that can make this type of difference? 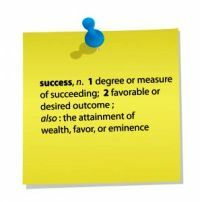 I can help you become more successful in The Major areas of life by helping you define YOUR winnable game. I will guide you in playing the game better and show you how to win on your own terms. One of the things that I've learned in my years of coaching people is how important it is for THEM to create a winnable game worth playing. Not how their parents played their life game. Not how their company plays the game. Not how their culture plays it. Not how their neighbors plays the game. And not how they USED to play the game. Because weather you are aware of it or not, you are playing the game each and every day. And until you define YOUR game and establish the rules of YOUR game, the game will play you and it will not be fun. This 30 minute "Defining Moment" process, and the depth of our session, can work for you too. I know, because it's worked for hundreds of people just like you. Your circumstances, situation, goals, objective, etc are not unique. More importantly – your game IS winnable. The methods I use were developed, tweaked and perfected over the years. I work with all kinds of people. I’ll work with you closely and guide you through the process of defining, designing and playing your game until your life is incredible. I am available to you and to anyone you know who would like to take advantage of this completely free "Defining Moment" coaching session. Email Tiffany Norris at: to schedule your free coaching session today. If you are new to coaching, scheduling a free "Defining Moment" coaching session will give you a first-hand way to experience the process. 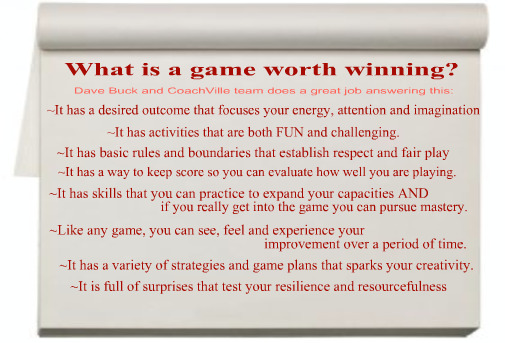 After talking with me you will have a solid definition of your winnable game and we will design the activities of the game based on what is MOST important to you. Email me, Tiffany Norris, now. I will respond within 48 hours. I look forward to hearing from you today. This form is reserved for Coach Tiffany to submit her original articles. If you are not Coach Tiffany please do not use this form. This is were Coach Tiffany publish her FREE articles for you to read and enjoy. They can be found by clicking here.